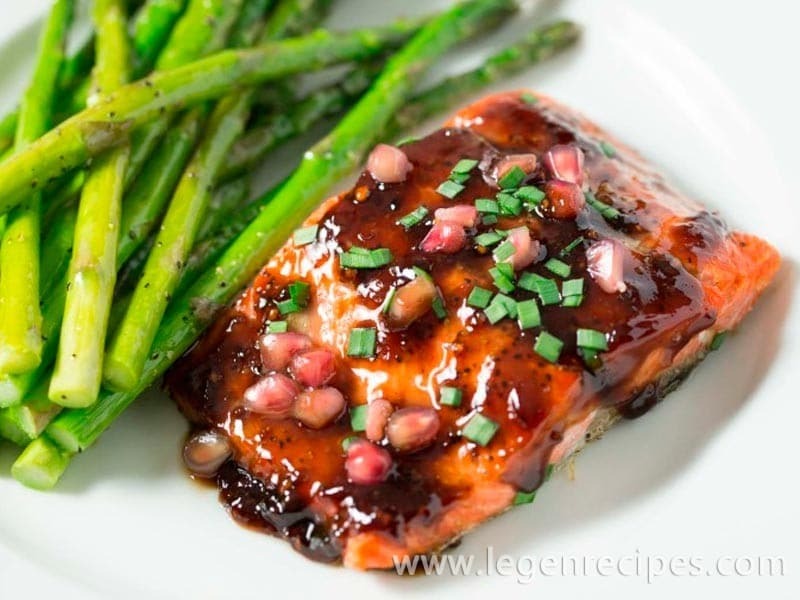 Pomegranate soy glazed salmon – salmon baked with a sticky, sweet and tangy pomegranate soy glaze. Delicious and easy 30 minute fish dinner that is gluten free, paleo, and dairy free! Preheat oven to 300 degrees with the oven in the middle rack. 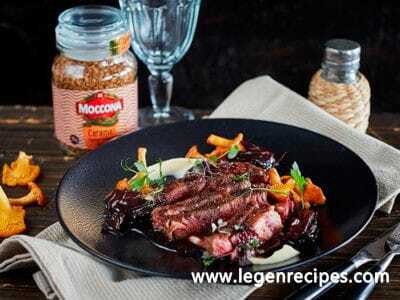 Make the pomegranate soy glaze by combining all ingredients in a small sauce pan over medium heat. 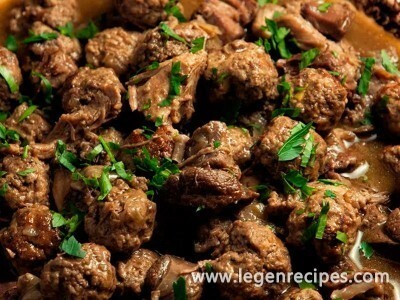 As soon as the mixture starts bubbling, simmer for 1 minute until the sauce has thickened. Remove the pan from heat, cover with a lid to keep it warm, and set it aside. Pat the salmon dry, and season with salt and pepper. Preheat a large oven safe skillet over medium high heat. Add the coconut oil. Cook the salmon skin side up for 1 minute. Flip the salmon to be skin side down, and cover the filets in the pomegranate soy glaze. Transfer the skillet to the oven, and cook until the salmon reaches an internal temperature of 125 degrees, about 7-10 minutes depending on how thick your salmon is. 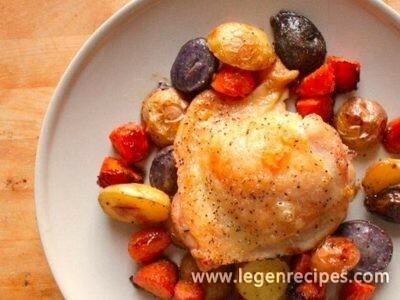 Remove from the oven, and serve warm.